This book is not unabridged. 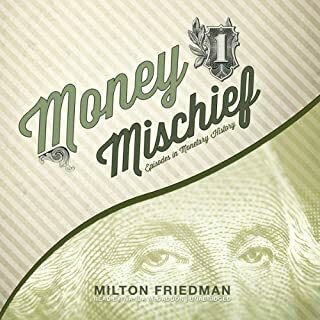 Mises wrote this book for the ages, and it remains the most spirited, thorough, and scientifically rigorous treatise on money ever to appear. 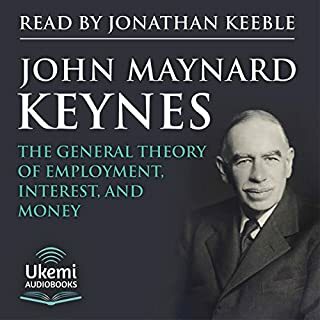 This classic treatise was the first really great integration of microeconomics and macroeconomics, and it remains the definitive book on the foundations of monetary theory. As Rothbard points out in his introduction to "the best book on money ever written," economists have yet to absorb all its lessons. In 2006, Ben S. Bernanke was appointed chair of the Federal Reserve, capping a meteoric trajectory from a rural South Carolina childhood to professorships at Stanford and Princeton, to public service in Washington's halls of power. There would be no time to celebrate, however - the burst of the housing bubble in 2007 set off a domino effect that would bring the global financial system to the brink of meltdown. Applied Economics is an accessible guide to how our economic decisions develop. It explains the application of economics to major world problems, including housing, medical care, discrimination, and the economic development of nations. The book is based on an international view of economics, includes examples from around the world, and shows how certain incentives and constraints produce similar outcomes among disparate peoples and cultures. Look at the long term...it's important! First released 20 years ago & now a classic! With grace and wit, America's foremost economist examines the boom-and-bust that led to the stock market crash of 1929. Economic writings are rarely notable for their entertainment value, but this widely admired best-seller is the exception. Galbraith's light touch makes his expert analysis of America's greatest financial disaster a surprisingly engaging listen for anyone. Friedman and Schwartz's A Monetary History of the United States, 1867-1960, published in 1963, stands as one of the most influential economics books of the 20th century. A landmark achievement, the book marshaled massive historical data and sharp analytics to support the claim that monetary policy--steady control of the money supply--matters profoundly in the management of the nation's economy, especially in navigating serious economic fluctuations. The chapter entitled "The Great Contraction, 1929-33" addressed the central economic event of the century, the Great Depression. Published as a stand-alone paperback in 1965, The Great Contraction, 1929-1933 argued that the Federal Reserve could have stemmed the severity of the Depression, but failed to exercise its role of managing the monetary system and ameliorating banking panics. The book served as a clarion call to the monetarist school of thought by emphasizing the importance of the money supply in the functioning of the economy--a concept that has come to inform the actions of central banks worldwide. This edition of the original text includes a new preface by Anna Jacobson Schwartz, as well as a new introduction by the economist Peter Bernstein. 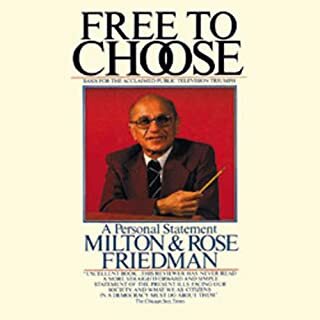 It also includes comments from the current Federal Reserve chairman, Ben Bernanke, originally made on the occasion of Milton Friedman's 90th birthday, on the enduring influence of Friedman and Schwartz's work and vision. 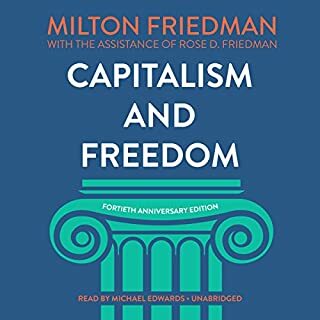 ©2008 Milton Friedman (P)2009 Audible, Inc. Very factual, but not exactly a page turner! No. It is good for what it is. It could be made more interesting by adding contemporary comparisons, but this would make the book lose its relevance over time. Did A. C. Fellner do a good job differentiating all the characters? How? Could you see The Great Contraction, 1929-1933 being made into a movie or a TV series? Who should the stars be? Comparisons to competing Economic theories and practitioners would be interesting too. 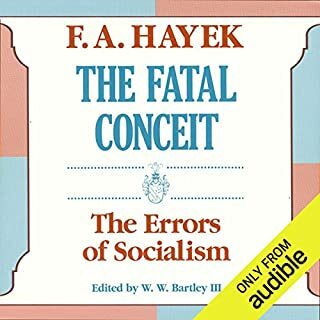 This book may be great for one economist to understand another. My problem is that I'm not coming from the perspective of a 4th year economics major. The terms and tone are not for the lay person trying to understand general economic principles. First half is painful. Second half can start to see the light. Have google ready for some concepts lacking explanation. I was pleased to see that Milton Friedman was not as doctrinaire as some that have followed him. I particularly appreciate many of his arguments in favor of Fed intervention. 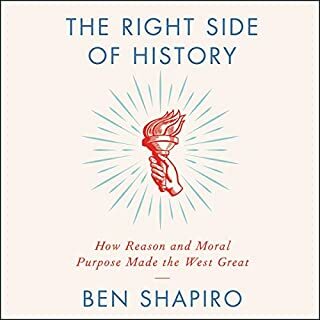 The follow on piece by Ben Bernanke was good to clarify, or reinforce, arguments made in this book. I know his focus was on Monetary policy, but I missed something about the conditions which might have contributed to many of the phenomenon he wrote about. It seems to be things like bank failures were as much about overall economic conditions as they were about poor policy choices. Interesting, but dry, and filled with jargon. A different explanation for the Great Depression. 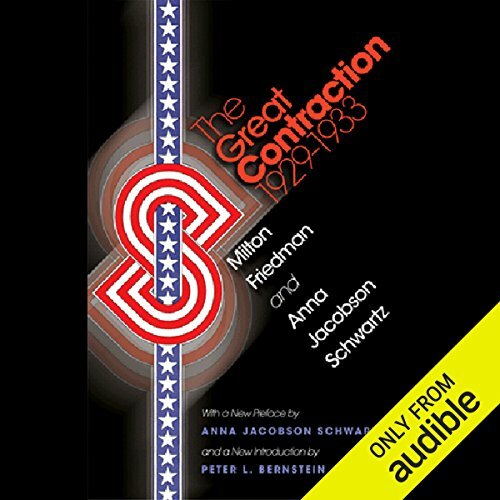 Would you consider the audio edition of The Great Contraction, 1929-1933 to be better than the print version? Yes. I tend to fall asleep reading a complicated book. What about A. C. Fellner’s performance did you like? It was very sad to realize how much hardship for so many was caused by misguided government policies!